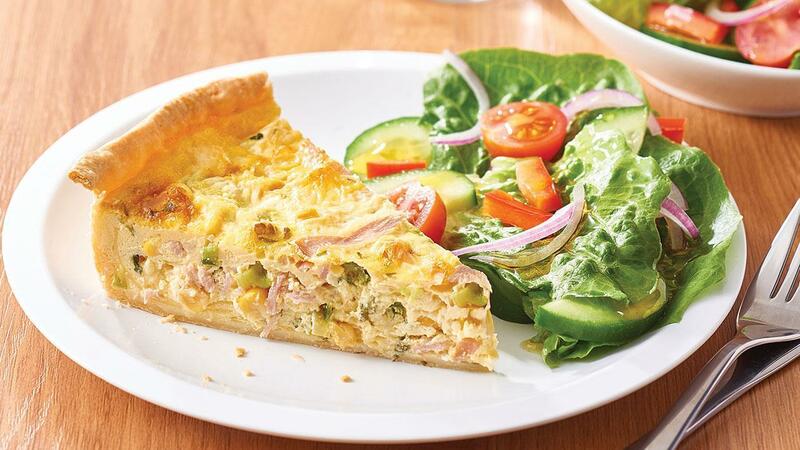 Using ready-made pastry for a crispy base and adding KNORR Garde d'Or Hollandaise Sauce to the filling for extra creaminess and flavour, will make this quick and simple quiche recipe a winner. Line a 23cm deep tart pan with pastry sheets. Trim pastry then blind bake at 180 degree Celsius until light golden. Cool. Combine eggs, milk, KNORR Garde d’Or Hollandaise Sauce, flour and salt and pepper. Scatter the remaining ingredients over the base of the pastry case. Pour over the egg mixture. Return to oven. Bake for 35 minutes or until set and golden. Serve warm or cold with salad or steamed vegetables.